We are dedicated to providing unparalleled service to all of our customers in Lower Fairfield and New Haven Counties. 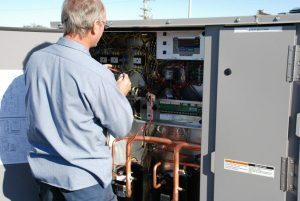 To meet the needs of our customers, training at OSA Heating and Cooling is an intensive and on-going process. The end result is that you receive prompt and efficient service delivered with the utmost professionalism - the first time. That’s what sets OSA Heating & Cooling apart from our competitors. Our trained specialists are dispatched from our local office, and are always just a phone call away. This ensures prompt, immediate responses to all situations. If you are looking for professional and competent heating and air conditioning services in Lower Fairfield or New Haven Counties, you've come to the right place! Call OSA Heating and Cooling today. Our services also include central air conditioning repairs and installation. Don't wait for your heating or air conditioning to get worse. Call today for information about our air conditioning and heating preventative maintenance programs. Call 203.338.0371 Are you a contractor in need of a bid for your upcoming project? Send your invitation to bid to service@osa-heating.com. We'll reply to you within one business day.